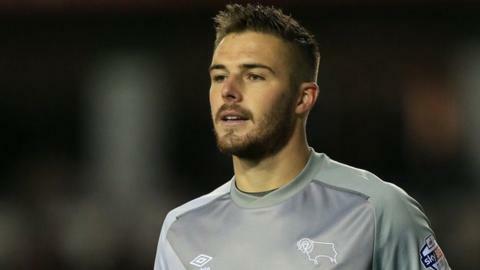 Derby County have extended England Under-21 goalkeeper Jack Butland's loan deal from Stoke City by seven days. The 21-year-old has kept two clean sheets in five appearances for Steve McClaren's side since initially joining for one-month on 20 October. The former Birmingham City player, who has played twice for Stoke this season, will now be available for Derby's trip to fifth-placed Watford on Saturday. Derby's first-choice keeper Lee Grant suffered an ankle injury in October.